Janine: We were contacted about this boy. A woman spotted him chained in a yard in South Carolina. Thankfully, the ACO showed up and got him out of there the next day after the owner didn't comply with seeking vet care. But, he still wasn't out of trouble until a rescue stepped up to take him...so we did. He's now at our one vet partners and he is being hospitalized. He is emaciated, has a severe case of mange, pressure sores, and old wounds filled with maggots. 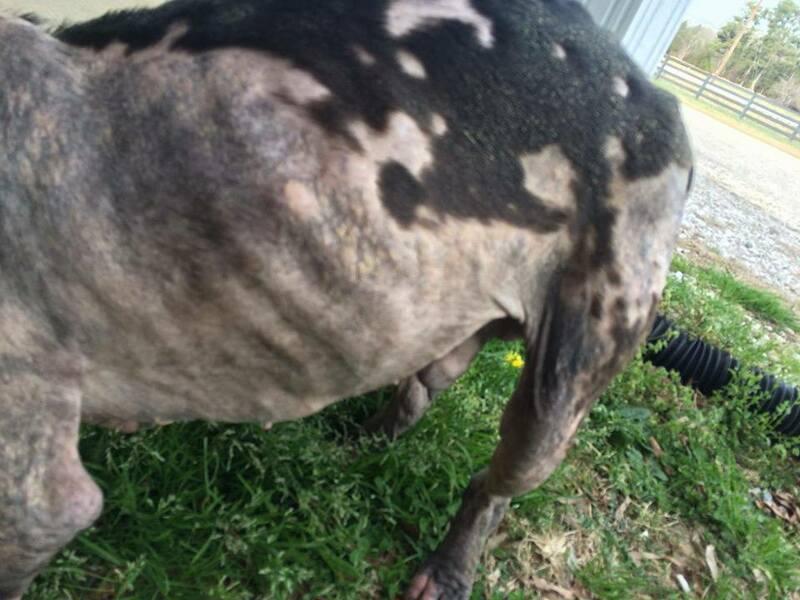 The woman transporting him from the shelter said he's the worst case she has ever seen. I wish I could hold him and love on him. But, he is hundreds of miles away. Once healthy enough, he will make his way to Speranza where his new life will begin. We are so excited to meet you, Marvel. Welcome to the Speranza Animal Rescue family!